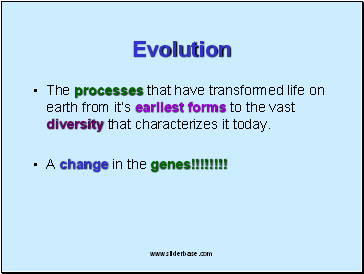 The processes that have transformed life on earth from it’s earliest forms to the vast diversity that characterizes it today. A change in the genes!!!!!!!! 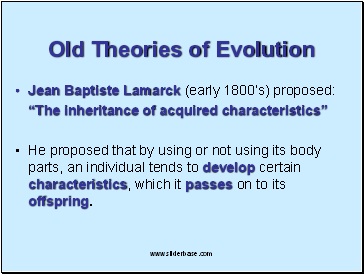 He proposed that by using or not using its body parts, an individual tends to develop certain characteristics, which it passes on to its offspring. 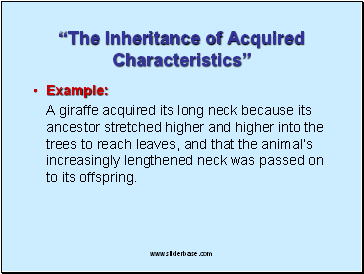 A giraffe acquired its long neck because its ancestor stretched higher and higher into the trees to reach leaves, and that the animal’s increasingly lengthened neck was passed on to its offspring. 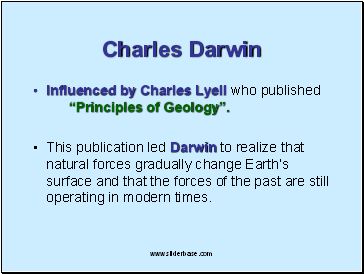 Influenced by Charles Lyell who published “Principles of Geology”. 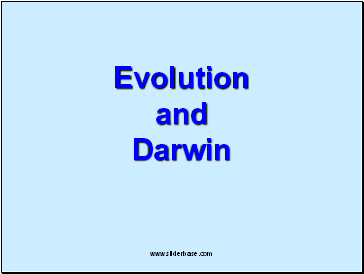 This publication led Darwin to realize that natural forces gradually change Earth’s surface and that the forces of the past are still operating in modern times. Darwin set sail on the H.M.S. 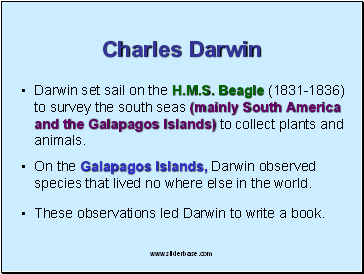 Beagle (1831-1836) to survey the south seas (mainly South America and the Galapagos Islands) to collect plants and animals. On the Galapagos Islands, Darwin observed species that lived no where else in the world. 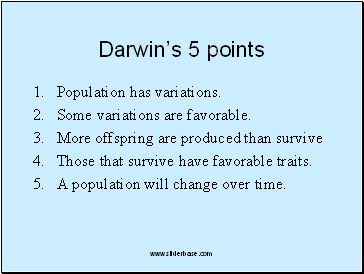 These observations led Darwin to write a book. 1. 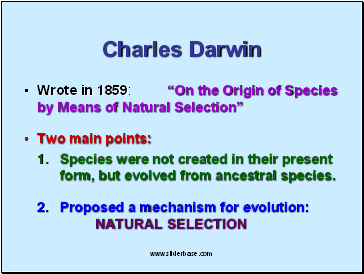 Species were not created in their present form, but evolved from ancestral species. 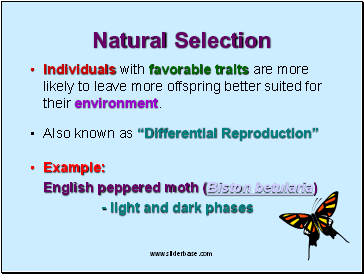 Individuals with favorable traits are more likely to leave more offspring better suited for their environment. Those that survive have favorable traits. A population will change over time.